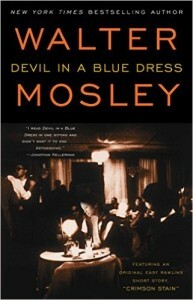 I was eleven years old when I read my first Easy Rawlins mystery: Devil in a Blue Dress. Set in postwar Los Angeles, the 1990 novel featured Ezekiel “Easy” Rawlins, a black WWII veteran laid off from his manufacturing job and in need of mortgage money. When a man in a bar offered to pay him to find a missing woman, Rawlins suddenly became an accidental private eye … and his adventures began. When Easy went barreling through the streets of 1940s L.A., I clung to every word. By the time I got to the last page, I was hooked — and I knew that I wanted to become a private investigator. I’m sure that I am not the only one who has read a mystery novel or watched a TV show and became fascinated with this line of work. And I’m probably not the only one who learned quickly that most of what we read in those novels is not how it is in real life. My first case involved finding a man who’d been involved in a car accident with my client. She’d been injured in the accident and was being sued for a mountain of medical bills she couldn’t afford. She hadn’t had contact with the subject since a few months after the accident. Now she was being pulled into court, and she needed someone to pay. I scoured the databases that private investigators use, then I hit the streets. I headed to the address I’d found in his database listing, in a small coastal city in Southern California. I remember being nervous as I knocked on the door. After a few moments, a woman answered. When I asked her for my subject, she looked confused. It seemed she didn’t understand English, and my Spanish wasn’t up to the task just yet. Fortunately, someone in the house spoke enough English to inform me that my subject didn’t live at that address. The family had resided there for the past year, and they didn’t know who the subject was. I retreated down the driveway, drenched in disappointment. I climbed into my car and sat in front of the house, wondering whether I had been lied to and trying to figure out where I had gone wrong. And then I had a thought: What else can I do? Do I just throw in the towel? What would Easy do? As I sat there staring out my windshield, it came to me: There are other sources of information here. I got out of my car, took out my wallet, and knocked on the neighbor’s door. When a man answered, I told him that I’d found his former neighbor’s wallet on the street and wanted to return it. I told him what the neighbors had said — that the man no longer lived at that address — and I waited. He returned with a business card belonging to my subject. Now I had a work address and telephone number. I thanked the man and returned to my car. I headed to the place of business and asked for the subject. A young lady told me the subject had left but would be back the following day. I thanked her. I returned the following afternoon, and lo and behold, my subject was at work. He looked shocked when I handed him the paperwork for court, so I quickly got out of there. When I got into my car, I noticed that people were looking at me through the blinds. I started my car and took off. When I shared this news with my client, she was ecstatic. She had almost given up on her search. Later, she called to tell me that she and the subject had settled — he wrote her a check for a big portion of what she owed. She thanked me. I had become a hero in her eyes. Minus the lost teeth, the bullet holes in my vehicle, and the knuckle draggers waiting outside my car (not this case, at least), I had momentarily become a part of what I had read about and aspired to be. The past thirteen years have been a roller coaster of triumphs and defeats. But that first case showed me who I was. It forced me to face people, to think on my feet, and to do things I wouldn’t ordinarily do. This line of work is not like what we read in the books. It is, and can be, so much more. The realness of helping someone reconnect with their family, or getting charges dropped an innocent person, or finding the truth about a spouse to whom they have dedicated their lives — these are the true stories that you and I get to be a part of. These are the experiences that we get to live through. So for those of you who may have watched “The Rockford Files” or read a Sherlock Holmes story and are interested in joining this field, welcome. You may not live their stories, but you’ll have the opportunity to live your own, and more importantly, to play a vital role in the stories of the people whose problems you help to solve. This line of work is not like what we read in the books. It is, and can be, so much more. Steve Morrow began his career in private investigations in 2003. As a graduate of the Nick Harris Detective Academy, he learned a variety of investigative techniques including surveillance, skip tracing, asset searches, background investigations, obtaining statements and more. In 2011, he founded the Morrow Detective Agency in Simi Valley, CA. and has successfully conducted more than a thousand investigations.